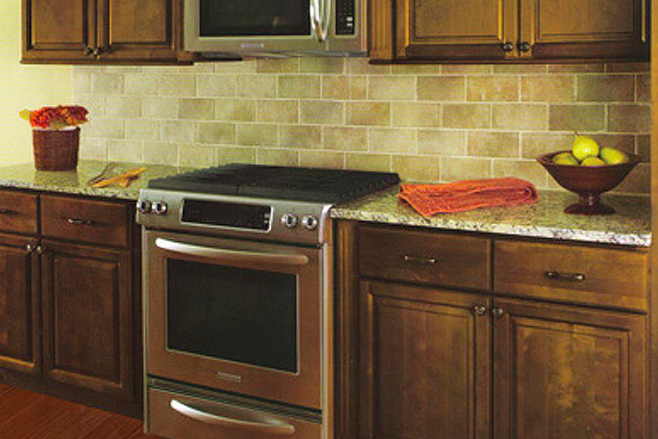 New kitchen cabinets will transform the look and feel of your kitchen. They can also add significant value to your home. For affordable, gorgeous, and modern cabinetry options in Pennsylvania, Ohio, New York, and Connecticut, Bargain Outlet has everything you need. Flat: Flat panel cabinets are simple, minimalist, and modern. They come in a variety of materials, including laminate, wood, and various shades and decorative styles. These cabinets lend a streamlined, stylish look that has become favored among many kitchen designers. Distressed: Distressed cabinets will instantly add antique charm to any kitchen. This quaint style is achieved through various techniques, including sanding and staining. Inset: Inset cabinets, which are set inside the cabinet frame, are classic and charming. Despite ever-evolving trends, this variety of cabinet will never go out of style. They usually require exposed hinges. Shaker: Shaker cabinets are the most common style of kitchen cabinet, and for good reason. The simple, clean doors manage to achieve both utility and grace. The classic look is also highly customizable, with various woods, stains, paint shades, and hardware options available. Whether you’re a landlord, homeowner, or home flipper, the kitchen is the prime spot to begin adding value and aesthetic appeal to a home. For cost-friendly, beautiful cabinets that will transform your kitchen, head to a Bargain Outlet near you. The premier outlets also offer doors and windows, building supplies, and so much more. Check out the company’s website to start your next home improvement project.